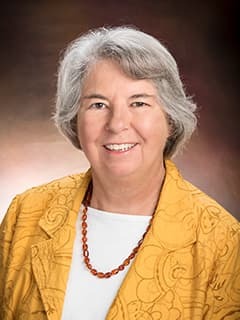 Virginia A. Stallings, MD, is a board certified nutrition pediatrician and Jean A. Cortner Endowed Chair in the Division of Gastroenterology, Hepatology and Nutrition at Children's Hospital of Philadelphia. She is the Research Director in the Nutrition Center. Schall JI, Hediger ML, Zemel BS, Rutstein RM Stallings VA. Comprehensive safety monitoring of 12-month daily 7000 IU vitamin D3 supplementation in HIV-infected children and young adults. J Parenteral Enteral Nutr 40(7):1057-63, 2016. PMID: 26160254. Kaplan SL, Edgar JC, Ford EG, Adgent MA, Schall JI, Kelly A, Umbach DM, Stallings VA, Darge K. Size of testis, ovary, uterus, and breast buds by ultrasound in healthy full-term neonates aged 0-3 days. Pediatr Radiol 46(13):1837-1847, 2016. PMID: 27580909. DeBrosse C, Reddy Nanga RP, Wilson N, D’Aquilla K, Elliott M, Hariharan H, Yan F, Wade K, Nguyen S, Worsley D, Parris-Skeete C, McCormick E, Xiao4 R, Zolkipli Cunningham Z, Fishbein L, Nathanson KL, Lynch DR, Stallings VA, Yudkoff M, Marni Falk J, Reddy R, McCormack SE. Muscle oxidative phosphorylation quantitation using creatine chemical exchange saturation transfer (CrCEST) MRI in mitochondrial disorders. J Clin Invest 1(18):e88207, 2016. PMID: 27812541. PMCID: PMC5085612. Stallings VA, Schall JI, Maqbool A, Mascarenhas MR, Alshaikh BN, Dougherty KA, Ryan J, Elci UE, Shaw WA. : Effect of oral lipid matrix supplement on fat absorption in cystic fibrosis: a randomized placebo-controlled trial. J Pediatr Gastroenterol Nutr Page: epub ahead of print, 2016. Zinkel SRJ, Berkowitz RI, Stunkard AJ, Stallings VA, Faith M, Thomas D, Schoeller DA: High energy expenditure is not protective against increased adiposity in children. Pedr Obesity Page: epub ahead of print, 2016. Wendel D, Magge SN, Kelly A, Stallings VA, Pipan M, Leonard MB, Stettler N, Zemel BS: Body composition estimation using skinfolds in children with and without health conditions affecting growth and body composition. Ann Human Biol Page: epub ahead of print, 2016. Schall JI, Mascarenhas MR, Maqbool A, Dougherty KA, Elci OU, Wang DJ, Altes TA, Hommel KA, Shaw W, Moore J, Chaney N, Stallings VA: Choline supplementation with a structured lipid in children with cystic fibrosis: a randomized placebo-controlled trial. J Pediatr Gastroenterol Nutr 62(4): 618-26, 2016. Kelly A, Schall J, Stallings VA, Zemel BS: Trabecular and cortical bone deficits are present in children and adolescents with cystic fibrosis. Bone 90: 7-14, 2016. Gerber JS, Bryan M, Ross RK, Daymont C, Parks EP, Localio AR, Grundmeier RW, Stallings VA, Zaoutis TE: Antibiotic exposure during the first 6 months of life and weight gain during childhood. JAMA 315(12): 1258-65, 2016. Alshaikh, B, Schall, JI, Maqbool A, Mascarenhas M, Bennett MJ, Stallings VA: Choline supplementation alters some amino acid concentrations with no change in homocysteine in children with cystic fibrosis and pancreatic insufficiency. Nutr Res 36(5): 418-29, 2016. Zemel BS, Pipan M, Stallings VA, Hall W, Schadt K, Freedman DS, Thorpe P: Growth charts for children with Down Syndrome in the United States. Pediatrics 136(5): e1204-11, 2015. Trabulsi JC, Irving SY, Papas MA, Hollowell C, Ravishankar C, Marino BS, Medoff-Cooper B, Stallings VA: Total energy expenditure of infants with congenital heart disease after surgical intervention. Pediatr Cardiol 36(8): 1670-9, 2015. Steenhoff AP, Schall JI, Samuel J, Seme B, Marape M, Ratshaa B, Goercke I, Tolle M, Nnyepi MS, Mazhani L, Zemel BS, Rutstein RM, Stallings VA: Vitamin D3 supplementation in Batswana children and adults with HIV. PloS One 10((2)): e0117123. doi: 10.1371/journal.pone.0117123, 2015. Schall JI, Hediger ML, Zemel BS, Rutstein RM, Stallings VA: Comprehensive safety monitoring of 12-month daily 7000 IU vitamin D3 supplementation in HIV-infected children and young adults. J Parenter Enter Nutr Page: epub ahead of print, 2015. Roizen JD, Danzig J, Groleau V, McCormack S, Casella A, Harrington J, Sochett E, Tershakovec A, Zemel BS, Stallings VA, Levine MA: Resting energy expenditure is decreased in pseudohypoparathyroidism type 1A. J Clin Endocrinol Metab 101(3): 880-8, 2015. Powers SW, Stark LJ, Chamberlin LA, Filino SS, Sullivan SM, Lemanek KL, Butcher JL, Driscoll KA, Daines CL, Brody AS, Schindler T, Konstan MW, McCoy KS, Nasr SZ, Castile RG, Acton JD, Wooldridge JL, Ksenich RA, Szczesniak RD, Rausch JR, Stallings VA, Zemel BS, Clancy JP: Behavioral and nutrition treatment for preschoolers with cystic fibrosis: a randomized clinical trial. JAMA Pediatr 169(5): e150636, 2015. Medoff-Cooper B, Irving SY, Hanlon AL, Golfenshtein N, Chitams J, Radcliffe J, Stallings VA, Ravishankar C, Marino BS: Association among feeding mode, growth, and developmental outcomes in infants with complex congenital heart disease at 6 and 12 months of age. J Pediatr 169: 154-159, 2015. Lipman TH, Cousounis P, Grundmeier R, O'Hara R, Massey J, Cucchiara AJ, Stallings VA, Grimberg A: Electronic health record mid-parental height auto-calculator growth assessment in primary care. Clin Pediatr Page: epub ahead of print, 2015. Leonard MB, Zemel BS, Wrotniak BH, Klieger SB, Shults J, Stallings VA, Stettler N: Bone geometry and volumetric density in obese compared to non-obese adolescents. Bone 73: 69-76, 2015. Grimberg, A, Huerta-Saenz L, Grundmeier R, Ramos MJ, Pati S, Cucchiara AJ, Stallings VA: Gender bias in U.S. pediatric growth hormone treatment. Sci Rep 5: 11099. doi: 10.1038/srep11099, 2015. Dougherty KA, Bertolaso C, Schall JI, Smith-Whitley K, Stallings VA: Safety and efficacy of high-dose daily vitamin D3 supplementation in children and young adults with sickle cell disease. J Pediatr Hematol Onc 37(5): e308-15, 2015. Chun RF, Liu NQ, Lee T, Schall JI, Denburg MR, Rutstein RM, Adams JS, Zemel BS: Vitamin D supplementation and antibacterial immune responses in adolescents and young adults with HIV/AIDS. J Steroid Biochem 149: 290-297, 2015. Brown JC, Schall JI, Rutstein RM, Leonard MB, Zemel BS, Stallings VA: The impact of vitamin D3 supplementation on muscle function among HIV-infected children and young adults. J Musculoskelet Neuronal Interact 15(2): 145-53, 2015. Wrotniak B, Schall JI, Brault ME, Balmer D, Stallings VA: Health-related quality of life in children with sickle cell disease using the child health questionnaire. J Pediatr Health Care 28(1): 14-22, 2014. Stallings VA, Schall JI, Hediger ML, Zemel BS, Tuluc F, Rutstein RM, : High-dose vitamin D3 supplementation in children and young adults with HIV: a randomized, placebo-controlled trial. Pediatr Infect Dis J 34(2): e32-e40, 2014. Sheikh S, Zemel BS, Stallings VA, Rubenstein RC, Kelly A: Body composition and pulmonary function in cystic fibrosis. Front Pediatr 2(e-collection): 33, 2014. Maqbool A, Schall JI, Mascarenhas, MR, Dougherty KA, Stallings VA: Vitamin B12 status in children with cystic fibrosis and pancreatic insufficiency. J Pediatr Gastroenterol Nutr 58(6): 733-738, 2014. Groleau V, Schall JI, Stallings VA, Bergqvist CA: Long term impact of ketogenic diet on growth and resting energy expenditure in children with intractable epilepsy: A 15-month prospective study. Dev Med Child Neurol 56(9): 898-904, 2014. Groleau V, Schall JI, Dougherty KA, Latham NE, Maqbool A, Mascarenhas M, Stallings VA: Effect of dietary intervention on growth and resting energy expenditure in children with cystic fibrosis. J Cyst Fibros 13(5): 572-578, 2014. Frank LB, Schall JI, Samuel JL, Zemel BS, Dougherty KA, Tuluc F, Rutstein RM, Stallings VA: Dietary and Supplement Intake of HIV-infected children and young adults. Infant Child Adol Nutr 6(4): 221-232, 2014. Dougherty KA, Schall JI, Zemel BS, Tuluc F, Hou X, Rutstein RM, Stallings VA: Safety and efficacy of high dose daily vitamin D3 supplementation in children and young adults infected with human immunodeficiency virus. J Ped Infect Dis Soc 3(4): 294-303, 2014. Bertolaso C, Groleau V, Schall JI, Maqbool A, Mascarenhas MR, Latham NE, Dougherty KA, Stallings VA: Fat Soluble Vitamin Status in Children with Cystic Fibrosis and Pancreatic Insufficiency on a Nutrition Intervention. J Pediatr Gastroenterol Nutr 58(4): 443-48, 2014. Izumi K, Housam R, Kapadia C, Stallings VA, Medne L, Shaikh TA, Kublaoui BM, Zackai EH, Grimberg A: Endocrine phenotype of 6q16.1-q21 deletion involving SIMI and Prader-Willi-syndrome-like features. Am J Med Genet 161A(12): 3137-43, 2013. Stallings VA, Mondick JT, Schall JI, Barrett JS, Wilson M, Mascarenhas MR: Diagnosing malabsorption with systemic lipid profiling: pharmacokinetics of pentadecanoic acid and triheptadecanoic acid following oral administration in healthy subjects and subjects with cystic fibrosis. Int J Clin Pharmacol Ther 51(4): 263-73, 2013. Irving SY, Medoff-Cooper B, Stouffer NO, Schall JI, Ravishankar C, Compher CW, Stallings VA: Resting energy expenditure at 3-months of age following neonatal surgery for congenital heart disease. Congenit Heart Dis Jan 2013 Notes: epub ahead of print. Adgent MA, Flake GP, Umbach DM, Stallings VA,Bernbaum JC, Rogan, WJ: A simple cytological method to assess estrogen exposure in young infants. J Clin Endocr Metab (submitted) 2013 Notes: (submitted). Bertolaso C, Groleau V, Schall JI, Maqbool A, Mascarenhas MR, Latham NE, Dougherty KA, Stallings VA: Fat Soluble Vitamin Status in Children with Cystic Fibrosis and Pancreatic Insufficiency on a Nutrition Intervention. J Pediatr Gastroenterol Nutr (submitted) 2013 Notes: (submitted). Dougherty KA, Schall JI, Zemel BS, Tuluc F, Hou X, Rutstein RM, Stallings VA: Safety and efficacy of high dose daily vitamin D3 supplementation in children and young adults with HIV/AIDS: a randomized double blind study. J Amer Med Assoc (submitted) 2013 Notes: (submitted). Grimberg A, Huert-Saenz L, Ramos, M, Grundmeier R, Pati S, Cuccihiara AJ, Stallings VA: Disparities between who is short and who is treated with growth hormone. Pediatrics (submitted) 2013 Notes: (submitted). Groleau V, Herold RA, Schall JI, Wagner JL, Dougherty KA, Zemel BS, Rutstein RM, Stallings VA: Lead level not altered by high dose vitamin D supplementation in children and young adults with HIV. J Pediatr Gastroenterol Nutr 56(3): 316-9, 2013. Groleau V, Schall JI, Stallings VA, Bergqvist CA: Ketogenic Diet Impact on Resting Energy Expenditure in Children with Intractable Epilepsy: A 15-month prospective study. Dev Med Child Neurol (submitted) 2013 Notes: (submitted). Hill DL, Parks EP, Zemel BS, Shults J, Stallings VA, Stettler N: Resting energy expenditure and adiposity among children with Down syndrome: a three year prospective study. Eur J Clin Nutr (in press) 2013 Notes: (in press). Ince EE, Pipan ME, Hall WC, Stallings VA, Zemel, BS: Neuromotor development and associations with feeding and growth in children with Down syndrome. J Pediatr (submitted) 2013 Notes: (submitted). Izumi K, Housam R, Kapadia C, Stallings VA, Medne L, Shaikh TA, Kublaoui BM, Zackai EH, Grimberg A: Endocrine phenotype of 6q16.1-q21 deletion involving SIMI and Prader-Willi-syndrome-like features. Am J Med Genet (in press) 2013 Notes: (in press). Maqbool A, Schall JI, Mascarenhas, MR, Dougherty KA, Stallings VA: Vitamin B12 Status in Children with Cystic Fibrosis and Pancreatic Insufficiency. J Pediatr (submitted) 2013 Notes: (submitted). Stallings VA, Mondick JT, Schall JI, Barrett JS, Wilson M, Mascarenhas MR. Diagnosing malabsorption with systemic lipid profiling: pharmacokinetics of pentadecanoic acid and triheptadecanoic acid following oral administration in healthy subjects and subjects with cystic fibrosis. Int J Clin Pharmacol Ther. 2013 Apr;51(4):263-73. doi: 10.5414/CP201793. Read the abstract. Groleau V, Herold RA, Schall JI, Wagner JL, Dougherty KA, Zemel BS, et al. Blood lead concentration is not altered by high dose vitamin D supplementation in children and young adults with HIV. J Pediatr Gastroenterol Nutr. 2013 Mar;56(3):316-9. doi: 10.1097/MPG.0b013e3182758c4a. Read the abstract. Irving SY, Medoff-Cooper B, Stouffer NO, Schall JI, Ravishankar C, Compher CW, et al. Resting energy expenditure at 3 months of age following neonatal surgery for congenital heart disease. Congenit Heart Dis. Epub 2013 Jan 30. doi: 10.1111/chd.12035. Cited in PubMed; PMID23360096. Read the abstract. Wrotniak BH, Schall JI, Brault ME, Balmer DF, Stallings VA. Health-related quality of life in children with sickle cell disease using the child health questionnaire. J Pediatr Health Care. Epub 2012 Nov 7. doi:pii: S0891-5245(12)00190-3. 10.1016/j.pedhc.2012.09.004. Cited in PubMed; PMID 23140759. Read the abstract. Dougherty KA, Schall JI, Kawchak DA, Green MH, Ohene-Frempong K, Zemel BS, et al. No improvement in suboptimal vitamin A status with a randomized, double-blind, placebo-controlled trial of vitamin A supplementation in children with sickle cell disease. Am J Clin Nutr. 2012 Oct;96(4):932-40. Epub 2012 Sep 5. Cited in PubMed; PMID 22952182. Read the abstract. Kral TV, Allison DB, Birch LL, Stallings VA, Moore RH, Faith MS. Caloric compensation and eating in the absence of hunger in 5- to 12-y-old weight-discordant siblings. Am J Clin Nutr. 2012 Sep;96(3):574-83. doi: 10.3945/ajcn.112.037952. Epub 2012 Aug 1. Cited in PubMed; PMID 22854400. Read the abstract. Maqbool A, Schall JI, Gallagher PR, Zemel BS, Strandvik B, Stallings VA. Relation between dietary fat intake type and serum fatty acid status in children with cystic fibrosis. J Pediatr Gastroenterol Nutr. 2012 Nov;55(5):605-11. doi: 10.1097/MPG.0b013e3182618f33. Cited in PubMed; PMID 22699835. Read the abstract. Leibowitz KL, Moore RH, Ahima RS, Stunkard AJ, Stallings VA, Berkowitz RI, et al. Maternal obesity associated with inflammation in their children. World J Pediatr. 2012 Feb;8(1):76-9. doi: 10.1007/s12519-011-0292-6. Epub 2011 Aug 27. Cited in PubMed: PMID 21874618. Read the abstract. Huang SH, Parks EP, Kumanyika SK, Grier SA, Shults J, Stallings VA, et al. Child-feeding practices among Chinese American and non-Hispanic white caregivers. Appetite. 2012 Jun;58(3):922-7. doi: 10.1016/j.appet.2012.02.008. Epub 2012 Feb 15. Cited in PubMed: PMID 22343192. Read the abstract. Adelekan T, Magge S, Shults J, Stallings VA, Stettler N. Lipid profiles of children with down syndrome compared to their siblings. Pediatrics. 2012 Jun;129(6):e1382-7. doi: 10.1542/peds.2011-1262. Epub 2012 May 14. Cited in PubMed: PMID 22585868. Read the abstract. Kral TVE, Allison DB, Birch LL, Stallings VA, Moore RH, Faith MS. Caloric compensation and eating in the absence of hunger in 5 to 12-year-old-weight-discordant siblings. Am J Clin Nutr. 2012 Sep;96(3):574-83. doi: 10.3945/ajcn.112.037952. Epub 2012 Aug 1. Cited in PubMed: PMID 22854400. Read the abstract. Rutstein R, Marx A, Zemel BS, Schall JI, Stallings VA. Vitamin D status in children and young adults with perinatally acquired HIV infection. Clin Nutr. 2011 Oct;30(5):624-8. doi: 10.1016/j.clnu.2011.02.005. Epub 2011 Jun 8.Cited in PubMed; PMID21641097. Read the abstract. Anderson JB, Marino BS, Irving SY, Garcia Espana JF, Ravishankar C, Stallings VA, et al. Poor post-operative growth in infants with two-ventricle physiology. Cardiol Young. 2011 Aug;21(4):421-9. Epub 2011 Mar 9. Cited in PubMed: PMID 21422085. Read the abstract. Grimberg A, Feemster KA, Pati S, Ramos M, Grundmeier R, Cucchiara AJ, Stallings VA. Medically underserved girls receive less evaluation of short stature. Pediatrics. 2011 Apr;127(4):696-702. Epub 2011 Mar 21. Cited in PubMed: PMID 21422085. Read the abstract. Hoffman JA, Thompson DR, Franko DL, Power TJ, Leff SS, Stallings VA. Decaying behavioral effects in a randomized, multi-year fruit and vegetable intake intervention. Prev Med. 2011 May 1;52(5):370-5. Epub 2011 Mar 1. Cited in PubMed: PMID 21371499. Read the abstract . Dougherty KA, Schall JI, Rovner AJ, Stallings VA, Zemel BS. Attenuated maximal muscle strength and peak power in children with sickle cell disease. J Pediatr Hematol Oncol. 2011 Mar;33(2):93-7. Cited in PubMed: PMID 21228717. Read the abstract. Maqbool A, Strandvik B, Stallings VA. The skinny on tuna fat: health implications. Public Health Nutr. 2011 Nov;14(11):2049-54. doi: 10.1017/S1368980010003757. Epub 2011 Feb 16. Cited in PubMed; PMID21324226. Read the abstract. Field MB, Barg FK, Stallings VA. Life after promotion: self-reported professional development needs and career satisfaction of associate professors. J Pediatr. 2011 Feb;158(2):175-7.e1-3. doi: 10.1016/j.jpeds.2010.10.029. Cited in PubMed: PMID 21238692. No abstract available. Fabricatore AN, Wadden TA, Ebbeling CB, Thomas JG, Stallings VA, Schwartz S, et al. Targeting dietary fat or glycemic load in the treatment of obesity and type 2 diabetes: a randomized controlled trial. Diabetes Res Clin Pract. 2011 Apr;92(1):37-45. Epub 2011 Jan 3. Cited in PubMed: PMID 21208675. Read the abstract. Medoff-Cooper B, Irving SY, Marino BS, Garcia-Espana JF, Ravishankar C, Bird GL, Stallings VA. Weight change in infants with a functionally univentricular heart: from surgical intervention to hospital discharge. Cardiol Young 21(2):136-44, 2011. PMID: 21111097, PMCID: PMC3005329. Dougherty KA, Bertolaso C, Schall JI, Smith-Whitley K, Stallings VA. Muscle strength and power deficits in children with type SS sickle cell disease. American College of Sports Medicine’s 64rd Annual meeting, Denver, CO, May 30-June 3, 2017. Schall JI, Brownell J, McAnlis C, Hess O, Smith-Whitely K, Norris C, Stallings V. Vitamin A supplementation improves growth status and muscle strength and function in children with HBG SS sickle cell disease. 45th Annual National Sickle Cell Disease Association of America Convention. Oct. 25-28, 2017. Atlanta, GA.
Brownell J, Schall J, McAnlis C, Smith-Whitley K, Norris C, Stallings V. Vitamin A supplementation associated with improved RBC indices and fetal hemoglobin in subjects with HGB SS disease. 45th Annual National Sickle Cell Disease Association of America Convention. Oct. 25-28, 2017. Atlanta, GA.
Oberle M, Schall J, McAnlis C, Stallings V. Quality of life after three months of ivacaftor. 31th Annual North American Cystic Fibrosis Conference, Nov. 2-4, 2017, Indianapolis, IN. Sainath N. Schall J, Oberle M, McAnlis C, Hess O, Bertolaso C, Stallings V. Effect of ivacaftor treatment on dietary intake in Italian and North American subjects with cystic fibrosis. 31th Annual North American Cystic Fibrosis Conference, Nov. 2-4, 2017, Indianapolis, IN. Kelly A, Tsao J, Zemel B, Schall J, Stallings V. Bone health status and outcomes in school aged children with cystic fibrosis and pancreatic insufficiency (Title??). 31th Annual North American Cystic Fibrosis Conference, Nov. 2-4, 2017, Indianapolis, IN. Sainath N, Schall J, Oberle M, McAnlis C, Hess O, Bertolaso C, Stallings V. Changes in dietary intake with ivacaftor treatment in Italian and north American subjects with cystic fibrosis. North American Society for Pediatric Gastroenterology, Hepatology and Nutrition. Nov. 1-4, 2017, Las Vegas, NV. Brownell J, Schall J, McAnlis C, Smith-Whitley K, Norris C, Stallings V. Vitamin A supplementation associated with improved RBC indices and fetal hemoglobin in subjects with Hgb SS disease. North American Society for Pediatric Gastroenterology, Hepatology and Nutrition. Nov. 1-4, 2017, Las Vegas, NV. Schall J, Sainath N, Mcanlis C, Bertolaso C, Stallings V: 3-month Ivacaftor treatment resulted in weight gain, improved pulmonary function and growth status, and reduced resting energy expenditure and gut inflammation in people with cystic fibrosis gating mutations. North American Cystic Fibrosis Conference, Orlando, FL October 27-29 2016. Schall J, Sainath N, McAnlis C, Bertolaso, C, Stallings V: Improved pulmonary function and weight gain, reduced resting energy expenditure, and improved gut inflammation after 3-month Ivacaftor treatment in cystic fibrosis. World Congress for Pediatric Gastroenterology, Hepatology and Nutrition, Montreal, Quebec, Canada October 5-8 2016. Sainath N, Schall, J, McAnlis C, Bertolaso C, Stallings V: Exocrine pancreatic status effects outcomes following 3-month Ivacaftor therapy in subjects with cystic fibrosis gating mutation. World Congress for Pediatric Gastroenterology, Hepatology and Nutrition, Montreal, Quebec, Canada October 5-8 2016. Sainath N, Schall J, Mcanlis, Hess O, Bertolaso C, Stallings V: Improvement in weight, pulmonary function and other outcomes with 3-month Ivacaftor treatment differed by exocrine pancreatic status in people with cystic fibrosis gating mutations. North American Cystic Fibrosis Conference, Orlando, FL October 27-29 2016. Stallings VA, McAnlis C, Samuel J, Karalunas E, Hyczko A, Bertolaso C, Sainath N, Schall J: 3-month Kalydeco™ (Ivacaftor) treatment resulted in weight gain, decreased resting energy expenditure and gut inflammation, and increased pulmonary function, muscle mass and strength, and growth status. 39th European Cystic Fibrosis Society Conference, Basel, Switzerland June 8-11 2016. Adgent, M, Stallings VA, Baird D: Measurement of personal care and consumer product phenols in 6 to 12 week old infants. 29th Annual Meeting of the Society for Pediatric and Perinatal Epidemiologic Research (SPER), Miami, FL June 20-21 2016. Dougherty KA, Bertolaso C, Schall JI, Smith-Whitley K, Stallings VA: Attenuated plantar flexor strength in children with type SS sickle cell disease. American College of Sports Medicine 63rd Annual Meeting, Boston, Massachusetts May 31-June 4 2016. Stallings VA: How a society protects and promotes healthy growth and nutritional status in populations. 3rd International Conference on Nutrition and Growth, Vienna, Austria March 17-19 2016. Irving SY, Ravishankar C, Chittams J, Miller M, Schall JI, Stallings VA, Medoff-Cooper B: Use of mid-upper arm circumference and skinfold measurements to evaluate muscle and fat stores in infants with congenital heart disease. 3rd International Nutrition and Growth Congress, Vienna, Austria March 17-19 2016. Trabulsi J, Irving SY, Papas MA, Hollowell C, Ravishankar C, Marino B, Stallings VA, Medoff-Cooper B: Total energy expenditure of infants with congenital heart disease post-surgical intervention. FASEB 2015. Adgent MA, Umbach DM, Zemel B, Kelly A, Schall J, Ford E, Darge K, Rogan W, Stallings VA: Measuring estrogen response in postnatal uterus and breast growth: a study of soy-based infant formula feeding. NIEHS/EPA Children's Centers Annual Meeting, Washington, DC October 29-30 2015. Adgent MA, Umbach D, Zemel BS, Kelly A, Schall JI, Bernbaum J, Rogan WJ, Stallings VA: Soy-based infant feeding is associated with estrogenized urogenital epithelium in girls at 24 weeks of age. 27th Conference of the International Society for Environmental Epidemiology. Sao Paulo, Brazil August 30- September 3 2015. Kaplan SL, Edgar JC, Ford E, Adgent M, Zemel BS, Schall J, Kelly A, Umbach DM, Rogan W, Stallings VA, Darge K: Normal values for size of ovaries, testes, uterus, and breast buds at birth. International Pediatric Radiology. 7th Conjoint Meeting and Exhibition, Chicago IL May 15-20 2015. Dougherty KA, Bertolaso C, Schall JI, Smith-Whitley K, Stallings VA: Safety and efficacy of daily high dose vitamin D3 supplementation in sickle cell disease. American College of Sports Medicine Conference, San Diego, CA May 27-30 2015. Radcliffe J, Schall JI, Weiss A, Bragg H, Ford E, Berenbaum S, Rogan WJ, Stallings VA: Does soy formula alter gendered play in toddlers. Society for Research in Child Development Biannual Meeting, Philadelphia, PA March 19-21 2015. Adgent M, Umbach D, Zemel BS, Kelly A, Schall JI, Ford E, Rogan W, Stallings VA: An approach to studying endocrine disruption in infants. 88th Annual Meeting of the American Epidemiological Society March 26-27 2015. Wendel, D, Magge SN, Kelly A, Stallings VA, Pipan M, Leonard MB, Stettler N, Zemel BS: Body composition estimation in children with altered growth patterns. North American Society for Pediatric Gastroenterology, Hepatology and Nutrition Annual Meeting, Atlanta, GA Oct 23-26 2014. Harlid S, Jefferson, WN, Panduri V, Adgent MA, Xu Z, Stallings VA, Williams CJ, Rogan WJ, Taylor JA: Early life exposure to soy formula and downstream effects on DNA methylation and gene expression. AICR 2014 Annual Research Conference, American Institute for Cancer Research, Washington, DC October 29-30 2014. Maqbool, Asim, Schall JI, Strandvik B, Stallings VA: Dietary and clinical implications of fatty acids status in children with cystic fibrosis. 11th Biennial Meeting of the International Society for the Study of Fatty Acids and Lipids. Stockholm, Sweden June 28-Jul 2 2014. Chun R, Liu N, Lee T, Schall J, Denburg M, Rutstein R, Zemel B, Dougherty K, Tuluc F, Samuel J, Stallings V, Hewison M: Vitamin D supplementation and antibacterial responses in patients with HIV/AIDS 17th Workshop on Vitamin D, Chicago, IL. June 17-20 2014. Steenhoff AP, Schall JI, Seme B, Marape M, Tolle M, Nnyepi MS, Mazhani L, Zemel BS, Rutstein RM, Stallings VA: Effect modifiers of response to high-dose vitamin D3 supplementation in Batswana people with HIV. Conference on Retroviruses and Opportunistic Infections, Boston, MA March 3-6 2014. Schall J, Zemel B, Dougherty K, Samuel J, Tuluc F, Rutstein R, Stallings V: High-dose vitamin D3 supplementation and 3-month immunological outcomes in children and young adults infected with HIV: a randomized placebo-controlled trial The 2nd International Conference on Nutrition and Growth, Barcelona, Spain January 30-February 1 2014. Groleau V, Irving S, Napolitano N, Bolton J, Schall JI, Lin R, Stallings VA, Srinivasan V: 30 minute protocols are superior to 5 minute protocols for resting energy expenditure measurement in chronically ventilated children American Society for Parenteral and Enteral Nutrition, Clinical Nutrition Week, Savannah, GA January 18-21 2014. Dougherty KA, Schall JI, Bertolaso C, Groleau V, Stallings VA: Fat soluble vitamins status over the decade in children and young adults with cystic fibrosis and pancreatic insufficiency. The 2nd International Conference on Nutrition and Growth, Barcelona, Spain January 30-February 1 2014. Steenhoff A, Schall J, Seme B, Marape M, Tsimako I, Tolle, M, Nnyepi M, Mazhani L, Rutstein R, Stallings V: Vitamin D3 supplementation (4000 or 7000 IU/d) in Batswana children and adults with HIV. 20th Conference on Retroviruses and Opportunistic Infections, Atlanta, GA March 3-6 2013. Archer J, James K, Ford E, Stallings VA, Bernbaum JC, Schwingl P: An innovative saliva collection device in infants. Society for Pediatric and Perinatal Epidemiologic Research Annual Meeting, Boston, MA June 17-18 2013. Child and Adult Care Food Program: Aligning Dietary Guidance for All. (Member, Institute of Medicine Committee). National Academy Press, Washington, DC, 2011. Stallings VA, Taylor CL, (Editors). Nutrition Standards for National School Lunch and Breakfast Programs: School Meals Building Blocks for Healthy Children. (Chair, Institute of Medicine Committee) National Academy Press, Washington, DC, 2010. Stallings VA, Taylor CL, (Editors). Nutrition Standards and Meal Requirements for National School Lunch and Breakfast Programs: Phase I. Proposed Approach for Recommending Revisions (Chair, Institute of Medicine Committee). National Academy Press, Washington, DC, 2008. Stallings VA, Yaktine AL, (Editors). Nutrition Standards for Foods in Schools: Leading the Way Toward Healthier Youth (Chair, Institute of Medicine Committee). National Academy Press, Washington, DC, 2007. WIC Food Packages: Time for a Change (Member, Institute of Medicine Committee). National Academy Press, Washington, DC, 2005. Proposed Criteria for Selecting the WIC Food Packages, (Member, Institute of Medicine Committee). National Academy Press, Washington, DC, 2004. Dietary Risk Assessment in the WIC Program (Chair, Institute of Medicine Committee). National Academy Press, Washington, DC, 2002. Framework for Dietary Risk Assessment in the WIC Program. An Interim Report from the Food and Nutrition Board (Chair, Institute of Medicine Committee). National Academy Press, Washington, DC, 2000. The Role of Nutrition in Maintaining Health in the Nation's Elderly. Evaluating Coverage of Nutrition Services for the Medical Population (Chair, Institute of Medicine Committee). National Academy Press, Washington, DC, 2000. Stallings VA, Zemel BS: Use of Technical Measurements in Nutritional Assessment. Pediatric Nutrition in Practice. (2nd Edition) World Rev Nutr Diet. Koletzko, B (eds.). Munich, Germany: Karger, 113: 19-22, 2015. Skaikhkhali AK, Michel S, Stallings VA, Mascarenhas MR: Nutrition interventions. Nutrition in Cystic Fibrosis: A Guide for Clinicians. Yen E, Leonard A. (eds.). Humana Press, Springer International Publishing AG, Switzerland, Page: 129-148, 2015. Parks EP, Shaikhkhalil A, Groleau V, Wendel D, Stallings VA: Feeding Healthy Infants, Children and Adolescents. Nelson Textbook of Pediatrics (20th Edition) Kliegman RM, Stanton BF (eds.). Elsevier, Inc., Philadelphia, 1: 286-295, 2015. Parks EP, Maqbool A, Shaikhkhalil A, Groleau V, Dougherty KA, Stallings VA: Nutritional Requirements. Nelson Textbook of Pediatrics. (20th Edition). Kliegman RM, Stanton BF (eds.). Elsevier Inc., Philadelphia, 1: 268-286, 2015. Parks EP, Shaikhkhalil A, Groleau V, Wendel D, Stallings VA: Feeding Healthy Infants, Children and Adolescents. Nelson Textbook of Pediatrics (20th Edition) Kliegman RM, Stanton BF (eds.). Elsevier, Inc. in press Notes: Philadelphia. Parks EP, Maqbool A, Shaikhkhalil A, Groleau V, Dougherty KA, Stallings VA: Nutritional Requirements. Nelson Textbook of Pediatrics. (20th Edition). Kliegman RM, Stanton BF (eds.). Elsevier Inc. in press Notes: Philadelphia. Dougherty KA, Stallings VA: Growth and body composition in children with chronic disease. Nutrition in Infancy, Nutrition and Health Series. Watson RR, Preedy VR, Grimble G, Zibadi S (eds.). Springer, Page: 3-12, 2013. Maqbool A, Dougherty KA, Prout E, Stallings VA: Adolescence. Present Knowledge in Nutrition (10th Edition). Erdman J, Macdonald I, Zeisel S (eds.). ILSI Press, Page: 637-653, 2012 Notes: Washington, DC. Stettler N, Bhatia J, Parish A, Stallings VA: Feeding healthy infants, children and adolescents. Nelson's Textbook of Pediatrics (19th Edition). Kliegman RM, Stanton BF, St. Geme III JW, Schor NF, Behrman RE (eds.). Elsevier, Inc. Page: 160-170, 2011 Notes: Philadelphia. Maqbool A, Stettler N, Stallings VA: Nutritional requirements. Nelson's Textbook of Pediatrics (19th Edition). Kliegman RM, Stanton BF, ST. Geme III JW, Schor NF, Behrman RE (eds.). Elsevier, Inc. Page: 160, 2011 Notes: Philadelphia. Maqbool A, Dougherty K, Michel S, Rovner AJ, Stallings VA: Gastrointestinal complications of cystic fibrosis. Lung Biology in Health and Disease Series: Cystic Fibrosis, Inc. Allen J, Panitch H, Rubenstein R (eds.). Informa Healthcare USA, Page: 266-284, 2010 Notes: New York. Maqbool A, Stallings VA: Nutrition for children with sickle cell disease. Pediatric Nutrition Handbook (6th Edition). Kleinman RE (eds.). American Academy of Pediatrics, Page: 897-904, 2009 Notes: Elk Grove Village, IL. Zemel BS, Stallings VA: Development Disabilities. Duggan C, Watkins JB, Walker WA. Nutrition in Pediatrics, Basic Science Clinical Applications (4th Edition) (eds.). BC Decker, Inc. Page: 497-504, 2008 Notes: Lewiston, NY. Maqbool A, Olsen IE, Stallings VA: Clinical assessment of nutritional status. Nutrition in Pediatrics, Basic Science Clinical Applications (4th Edition). Duggan C, Watkins JB, Walker WA (eds.). BC Decker, Inc. Page: 5-14, 2008 Notes: Lewiston, NY. Burdette H, Zemel BS, Stallings VA: Use of technical measurements in nutritional assessment. Child Nutrition - A Practical Reference Guide. Koletzko B (eds.). S. Karger AG, Page: 17-20, 2008. Stallings VA: Dietary reference intakes in pediatric care. Pediatric Nutrition Support. Baker SS, Baker RD, Davis AM (eds.). Jones and Bartlett Publishers, Page: 97-122, 2006 Notes: Sudbury, MA. Stallings VA: Adolescent nutrition. Present Knowledge in Nutrition (9th Edition). Russel RM, Bowman, B (eds.). ILSI Press, Page: 557-572, 2006 Notes: Washington, DC. Huang S, Stallings VA: Normal infant feeding. Conn's Current Therapy 2006 (57th Edition). Rakel RE, Bope ED (eds.). Elsevier Inc. Page: 1267-70, 2006 Notes: Philadelphia. Stallings VA: Pediatric rehabilitation and the pediatrician. Journal of Pediatrics "50 Years Ago Section" Elsevier Inc. Page: 442, 2005 Notes: New York. Bandini L, Stallings V, Ekvall S: Nutrition and cerebral palsy. Pediatric Nutrition in Chronic Disease and Developmental Disorders: Prevention, Assessment and Treatment (2nd Edition). Ekvall SW, Ekvall VK (eds.). Oxford University Press, Page: 93-98, 2005 Notes: New York. Stallings VA: Nutrition for children with sickle cell disease. Pediatric Nutrition Handbook (5th Edition0. Kleinman RE (eds.). American Academy of Pediatrics, Page: 689-692, 2004 Notes: Elk Grove Village, IL. Stallings VA: Human growth: assessment and interpretation (Book Review). Journal of the American Dietetic Association. Roche A, Shumei S (eds.). 62(4): 160-175, 2004. Mascarenhas MR, Bradshaw D, Stallings VA: Special dietary therapy. Pediatric Gastrointestinal Disease: Pathophysiology, Diagnosis, Management (4th Edition). Walker WA, Durie PR, Hamilton JR, Walker-Smith J, Watkins JB (eds.). BC Decker, Inc. Page: 1995-2005, 2004 Notes: Philadelphia. Zemel BS, Stallings VA: Developmental disabilities. Nutrition in Pediatrics, Basic Science and Clinical Applications (3rd Edition). Walker WA, Watkins JB, Duggan C (eds.). BC Decker, Inc, Page: 580-590, 2003 Notes: Philadelphia. Stallings VA: Enteral feeding. Encyclopedia of Food Science and Nutrition. Caballero B, Trugo L, Finglas P (eds.). Academic Press, Page: 2115-18, 2003 Notes: London, UK. Olsen IE, Mascarenhas MR, Stallings VA: Clinical assessment of nutritional status. Nutrition in Pediatrics, Basic Science and Clinical Applications (3rd Edition). Walker WA, Watkins JB, Duggan C (eds.). BC Decker, Inc. Page: 6-16, 2003 Notes: Philadelphia. Fung EB, Stallings VA: Nutrition. The Encyclopedia of Food and Culture. Katz SH, Weaver WW (eds.). Charles Scribner's Sons, 2: 588-595, 2003 Notes: New York. Zemel BS, Schall JI, Stallings VA, Leonard MB: Body composition and body compartments in children with chronic diseases. Human Growth from Conception to Maturity. Gilli G, Schell LM, Benso L, Smith-Gordon (eds.). Page: 347-358, 2002. Tershakovec AM, Stallings VA: Pediatric Nutrition and Nutritional Disorders. Nelson-Essentials of Pediatrics (4th Edition). Behrman RE, Kliegman RM (eds.). W.B. Saunders, Page: 57-92, 2002 Notes: Philadelphia. Tershakovec AM, Hiralall AS, Stallings VA: Obesity. Pediatric Gastroenterology and Nutrition in Clinical Practice. Lifshitz L (eds.). Marcel Dekker, Inc. Page: 249-274, 2002 Notes: New York. Institute of Medicine Committee, Chair: Dietary Risk Assessment in the WIC Program. The National Academies Press 2002 Notes: Washington, DC. Mascarenhas MR, Zemel BS, Tershakovec AT, Stallings VA: Adolescent nutrition. Present Knowledge in Nutrition (8th Edition). Russel RM, Bowman B (eds.). ILSI Press, Page: 426-438, 2001 Notes: Washington, DC. Cronk CE, Fung E, Stallings VA: Body composition in children with special healthcare needs. Nutrition and the Infant: Problems and Practical Procedures. Grimble GK, Preedy VR, Watson RR (eds.). Greenwich Medical Media Ltd. Page: 31-38, 2001 Notes: London. Mascarenhas MR, Kerner J, Stallings VA: Parenteral and enteral nutrition. Pediatric Gastrointestinal Disease (3rd Edition). Walker WA, Durie PR, Hamilton JR, Walker-Smith JA, Watkins JB (eds.). B.C. Decker, Inc. Page: 1752-1761, 2000 Notes: Hamilton, Ontario. Institute of Medicine Committee, Chair : The role of nutrition in maintaining health in the nation's elderly. Evaluating coverage of nutrition services for the medical population. The National Academies Press 2000 Notes: Washington, DC. Institute of Medicine Committee, Chair: Framework for Dietary Risk Assessment in the WIC Program. An Interim Report from the Food and Nutrition Board. The National Academies Press 2000 Notes: Washington, DC. Stallings VA, Fung EB: Nutrition assessment of infants and children. Modern Nutrition in Health and Disease. Shils ME, Olson JA, Shike M, Ross AC (eds.). Williams & Wilkins, Page: 885-893, 1999 Notes: Philadelphia. Stallings VA: Normal nutrition. Gellis and Kagan's Current Pediatric Therapy. Burg FD, Inglefinger JR, Polin RA, Wald ER (eds.). W.B. Saunders, Page: 1-5, 1999 Notes: Philadelphia. Mascarenhas MR, Tershakovec AM, Stallings VA: Parenteral and enteral nutrition. Pediatric Gastrointestinal Disease. Wylie R, Hyams JS (eds.). W.B. Saunders, Page: 741-757, 1999 Notes: Philadelphia. Mascarenhas MR, Stallings VA: Vitamin deficiencies and excesses. Gellis and Kagan's Current Pediatric Therapy (16th edition). Burg FD, Inglefinger JR, Polin RA, Wald ER (eds.). W.B. Saunders, Page: 17-21, 1999 Notes: Philadelphia. Zemel BS, Stallings VA: Alternative measure of assessing linear growth. The Cambridge Encyclopedia of Human Growth and Development. Ulijaszek SJ, Johnston FE, Preece MA (eds.). Cambridge University Press, Page: 74-75, 1998 Notes: Cambridge, UK. Tershakovek AM, Stallings VA: Pediatric nutrition and nutritional disorders. Nelson-Essntials of Pediatrics (3rd Edition). Behrman RE, Kliegman RM (eds.). W.B. Saunders, Page: 56-92, 1998 Notes: Philadelphia. Stallings VA.: Bone densitometry. Pediatric Gastroenterology. Altschuler SM, Liacouras CA. (eds.). Churchill Livingstone, Page: 613-619, 1998 Notes: London. Stallings VA.: Resting Energy Expenditure. Pediatric Gastroenterology. Altschuler SM, Liacouras CA. (eds.). Churchill Livingstone, Page: 607-611, 1998 Notes: London. Stallings VA.: Nutritional needs of the exercising child. Nutrition and Fitness: Evolutionary Aspects, Children's Health, Programs and Policies: World Review of Nutrition and Dietetics. Simopoulos AP. (eds.). Karger, Page: 90-97, 1997 Notes: Basel. Leonard MB, Kaplan BS, Stallings VA.: Nutrition in children with chronic renal failure: assessment of requirements and effect on progression of renal failure. International Yearbook of Nephrology. Andreucci VE, Fine LG (eds.). Oxford University Press, Page: 95-104, 1997 Notes: London. Cronk CE, Stallings VA.: Growth in children with cerebral palsy. Mental Retardation and Developmental Disabilities Research Reviews. Cheney PD, Palmer FB. (eds.). Wiley-Liss, Inc. Page: 129-137, 1997 Notes: New York. Zemel BS, Stallings VA.: Energy requirements and nutritional assessment in developmental disabilities. Nutrition in Pediatrics, Basic Science and Clinical Applications (2nd Edition). Walker WA, Watkins JB. (eds.). Page: 169-180, 1996. Stallings VA, Zemel BS. : Nutritional assessment of the disabled child. Clinics in Developmental Medicine, No. 140: Feeding the Disabled Child. Sullivan PB, Rosenbloom L. (eds.). MacKeith Press, Page: 62-76, 1996 Notes: London, England. Stallings VA, Mascarenhas MR.: Vitamin deficiencies and excesses. Gellis and Kagan's Current Pediatric Therapy (15th Edition). Burg FD, Ingelfinger JR. (eds.). W.B. Saunders, Page: 15-20, 1996 Notes: Philadelphia. Stallings VA, Hark L.: Nutrition assessment in medical practice. Medical Nutrition and Disease. Morrison G, Hark L. (eds.). Blackwell Science, Page: 62-76, 1996 Notes: Cambridge, MA. Tershakovec AM, Stallings VA.: Pediatric Nutrition and Nutritional Disorders. Nelson-Essentials of Pediatrics (2nd Edition). Behrman RE, Kliegman RM. (eds.). Page: 55-90, 1994. Barsky DL, Stallings VA.: Nutritional management in pediatric pulmonary disease. Respiratory Disease in Children: Diagnosis and Management. Eigen H, Loughlin GM. (eds.). Williams and Wilkins, Page: 813-828, 1994. Stallings VA.: Normal nutrition. Current Pediatric Therapy (14th Edition). Burg FD, Ingelfinger JR, Wald ER. (eds.). W.B. Saunders, Page: 1-3, 1993. Pencharz PB, Vaisman N, Azcue M, Stallings VA.: Body compartment changes in sick children. Advances in In Vivo Body Composition Studies. Yasumura S. (eds.). Page: 31-38, 1990. Stallings VA.: Enteral nutrition for children with thermal burns. Enteral Feeding: Scientific Basis and Clinical Application, 94th Ross Conference in Pediatric Research. Balistreri WF, Farrell MK. (eds.). Page: 135-139, 1988. Cronk CE, Stallings VA, Ross JL. : Measurement of short-term growth in children with Crohn's disease. Inflam Bowel Dis: Current Status and Future Approach: Proceedings of the international symposium on future research approaches -- mechanisms of chronic infection. MacDermott RP. (eds.). Page: 677-682, 1988. Archibald EH, Stallings VA, Pencharz PB, Harrison JE, Bell LE. : One-year follow-up of weight, total body potassium, and total body nitrogen in obese adolescents treated with the protein- sparing modified fast. In Vivo Body Composition Studies. Institute of Physical Sciences in Medicine. Ellis KJ, Yasumura S, Morgan WE (eds.). 39, 1987. Stallings VA. Advances on nutritional support for patients with cystic fibrosis. Presented at: XI Congreso de La Sociedad Latinoamericana de Neumologia Pediatrica, XV Congreso Latinoamericano de Fibrosis Quistica, XV Congresso Brasileiro de Pneumologia Pediatrica; 2016 Apr 13-16; Florianopolis, Brazil. Stallings VA. Fat soluble vitamins in cystic fibrosis and pancreatic insufficiency. Presented at: XI Congreso de La Sociedad Latinoamericana de Neumologia Pediatrica, XV Congreso Latinoamericano de Fibrosis Quistica, XV Congresso Brasileiro de Pneumologia Pediatrica; 2016 Apr 13-16; Florianopolis, Brazil. Stallings VA. Diet Quality, Nutrition Status and Health Outcomes of Disordered Eating. Presented at: Pediatric Feeding and Swallowing Center Conference; 2016 Apr; Children's Hospital of Philadelphia, Philadelphia, PA.
Stallings VA. Growth Faltering in Otherwise Healthy Children. Presented at: Quality Nutrition for Healthy Growth Symposium at 3rd International Conference on Nutrition and Growth; 2016 Mar; Vienna, Austria. Stallings VA. How Society Protects and Promotes Healthy Growth and Nutrition. Presented at: 3rd International Conference on Nutrition and Growth; 2016 Mar; Vienna, Austria. Stallings VA. Social Preferences and Body Ideas Impact Growth, Nutrition and Health. Presented at: 3rd International Conference on Nutrition and Growth; 2016 Mar; Vienna, Austria. Stallings VA. Alternate Study Endpoints or EPI Diagnostic Tests Besides CFA - What Is the State of the Art? Presented at: AbbVie Pancrelipase Cystic Fibrosis Advisory Board; 2015 Nov; Chicago, IL. Stallings VA. Updates on Childhood Obesity and Public Health. Presented at: University of Pennsylvania School of Nursing; 2015 Sep; Philadelphia, PA.
Stallings VA. Optimizing Nutritional Outcomes in Exocrine Pancreatic Insufficiency: Lessons and Challenges from Cystic Fibrosis. Presented at: Digestive Disease Week; 2015 May; Washington, DC. Stallings VA. Considerations for the Medically Fragile Participants. Presented at: WIC Food Packages Workshop, Institute of Medicine; 2015 Mar; Washington, DC. Stallings VA. Transitioning to Foods. Presented at: WIC Food Packages Workshop, Institute of Medicine; 2015 Mar; Washington, DC. Stallings VA. Modern Management of Cystic Fibrosis across the Disease Spectrum: A personalized Approach to Improving Lung Function and Gastrointestinal Health. Presented at: West Virginia University; 2015 Jan; Morgantown, WV.